I just could not decorate this "Brady Bunch" fireplace this Christmas! So I decided to take this project on just after Thanksgiving. After all, I read in several blogs that it was no big deal. One young lady said it took her just one afternoon to completely redo her fireplace! Well, that wasn't the case here!! If you have read about my kitchen remodel, you will know that we bought this ugly fixer upper last May. We have been working on projects a little at a time for the last year and a half. This little, one afternoon, no brainer ended up being several days of work. It took me a while just to figure out how the ugly brass doors were attached and to remove that. As I was laying on my back looking up into my chimney and my dog was trying to lick my face - I knew this was not going to be as easy as some made it out to be!! The shelves above were not only screwed in but glued on as well. 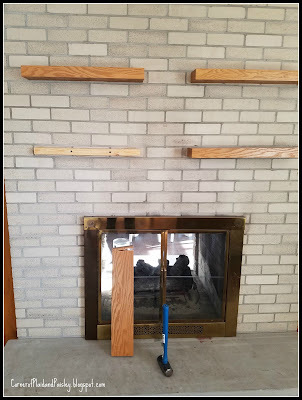 Once I finally took my sledge hammer to them I was able to remove them. Then there was a day of using adhesive remover to remove all the glue they used. I filled the holes and some of the spots where the glue pulled off a bit of the brick. After the first coat of primer I knew I was going to love it. We are now on day 3!! 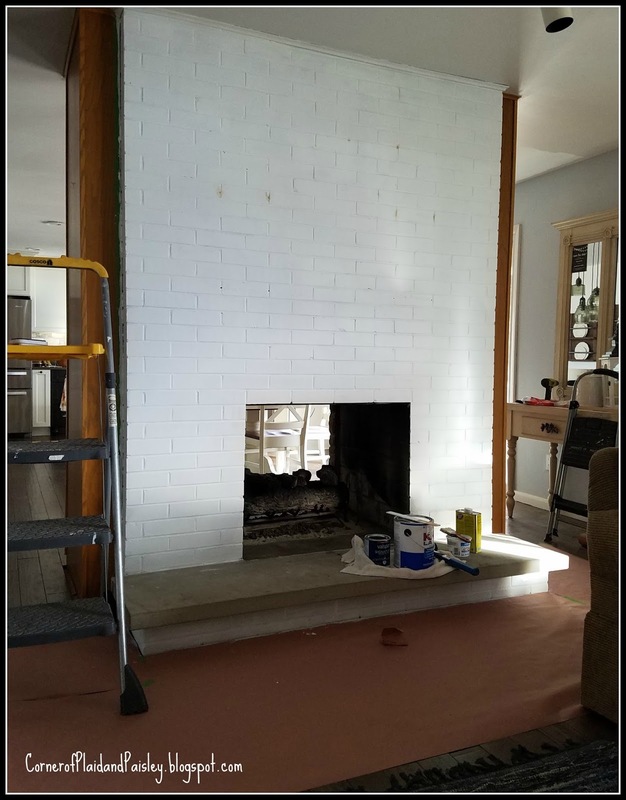 I painted over the primer with Valspar Stark White in an eggshell finish. 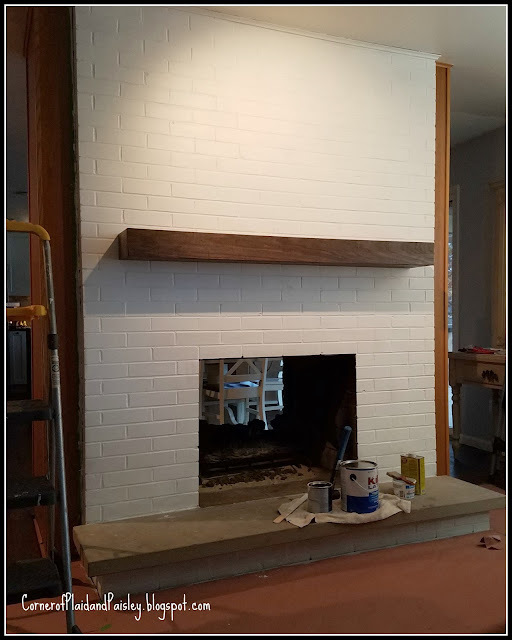 After the second coat of the white paint I was satisfied with the coverage, so my husband hung the new mantle piece. We then worked on removing the candle wax on the hearth and painted that with 2 coats of primer. While I was doing all this painting up stairs, my husband was down in the basement working on that ugly brass surround. He took every piece apart and sprayed the parts separately with Rustoleum High Heat spray paint. Good thing he took pictures of how it was put together before he disassembled it, because there were a lot more pieces to it then I would have thought! So even though this took me several days of work, I think it was well worth it. 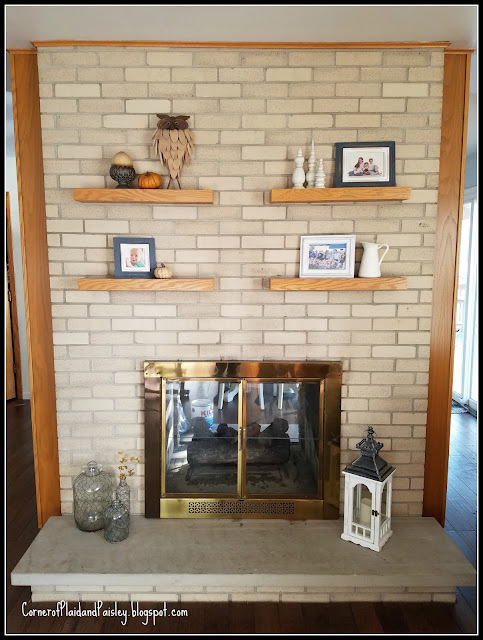 The 70's took this side of our two sided fireplace back and we are now ready to move into this holiday season with a much brighter, decorator friendly fireplace on the living room side. You got a little sneak peak here of what I am using for my Christmas decorations for my mantle. Come on back on Thursday and you will see, not only this side of the fireplace completed, but all decorated for Christmas! I will be taking part in Chloe Crabtree's, from Celebrate & Decorate, Holiday Home Blog Hop. Oh Ann! What a terrific transformation! Good for you for getting at it and tackling such a project especially right before Christmas. 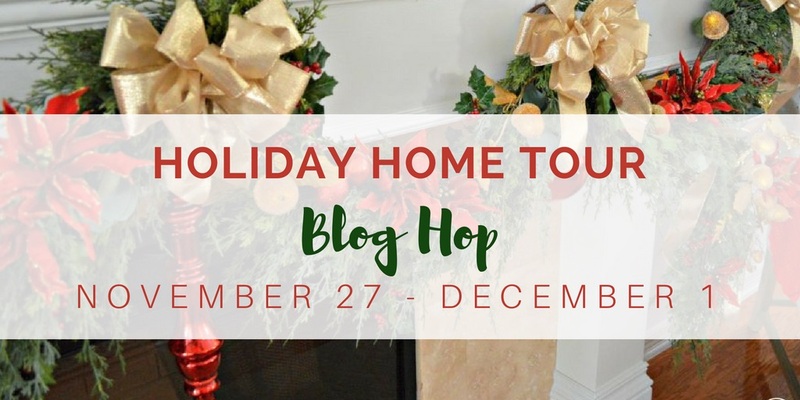 Can't wait to see how you decorate your new fireplace on the blog hop. that looks amazing! 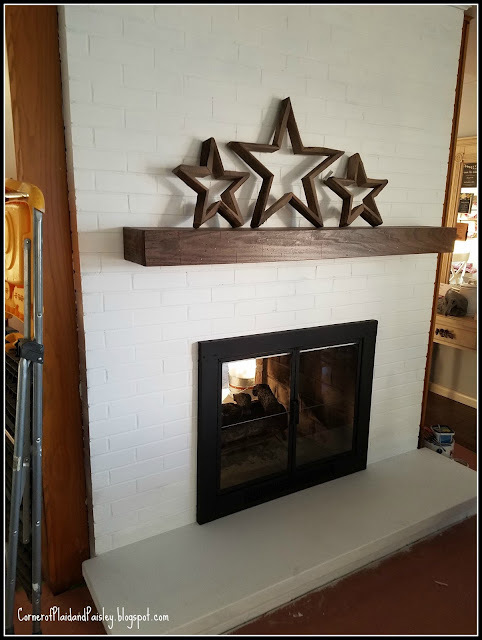 i love the white with the chunky dark wood mantle!